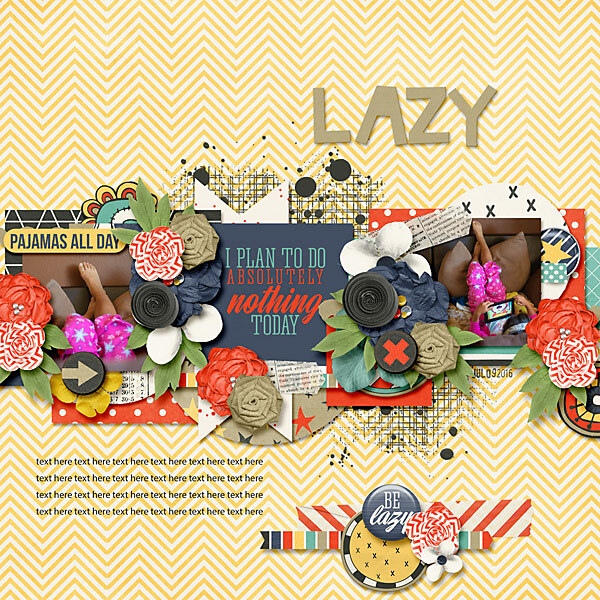 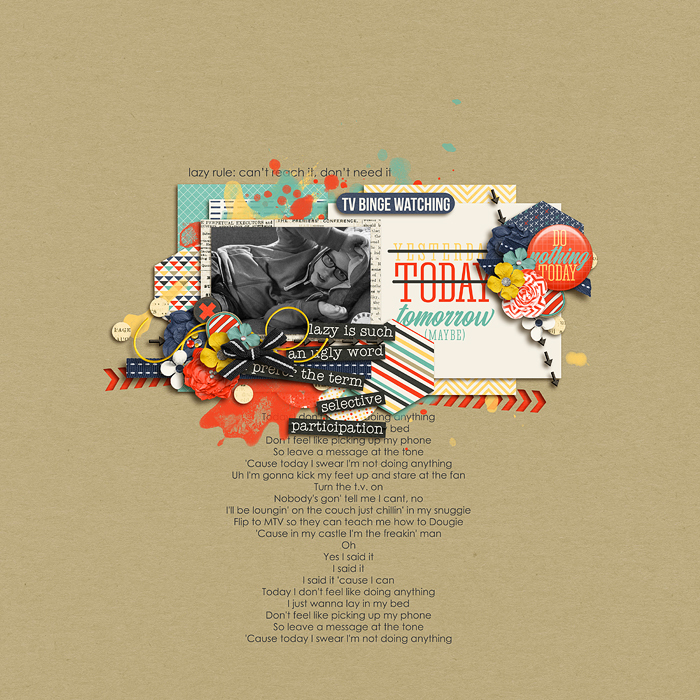 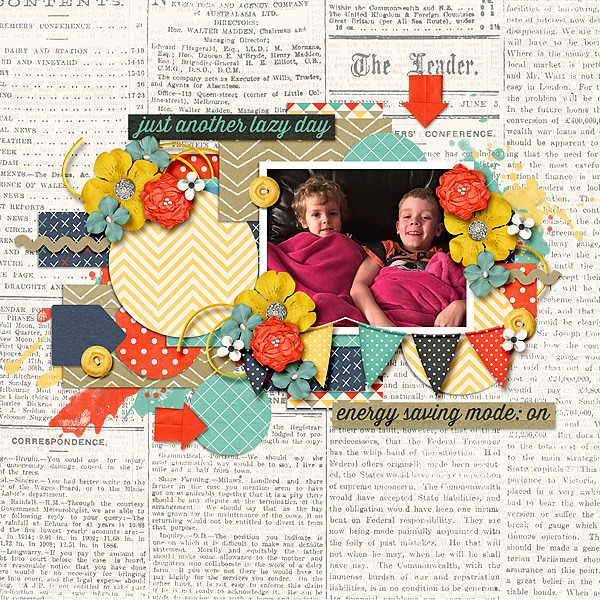 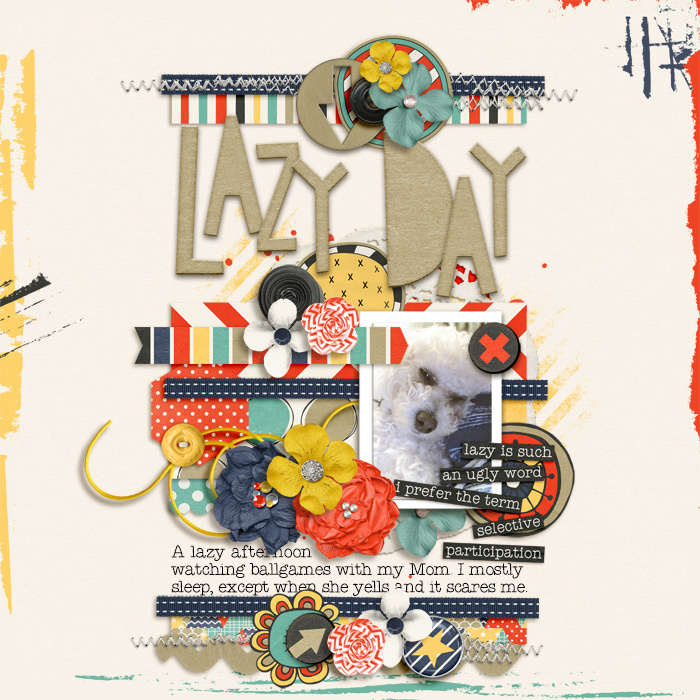 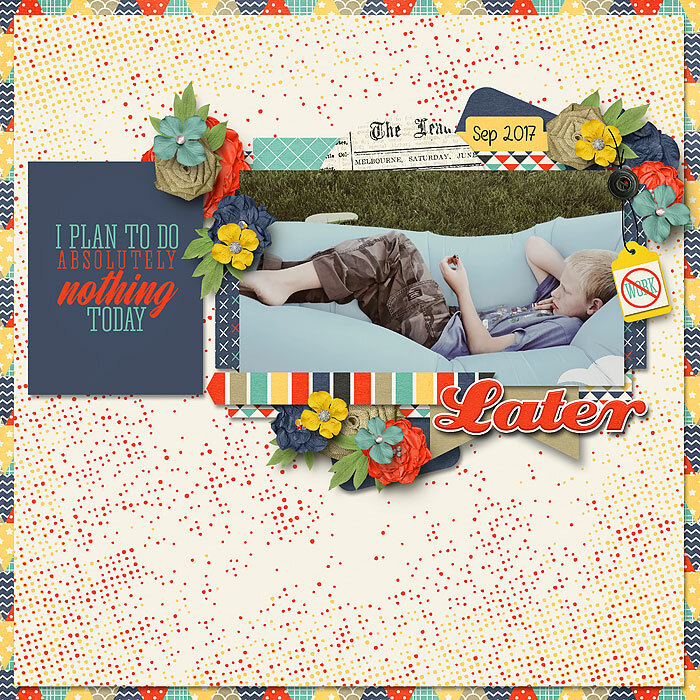 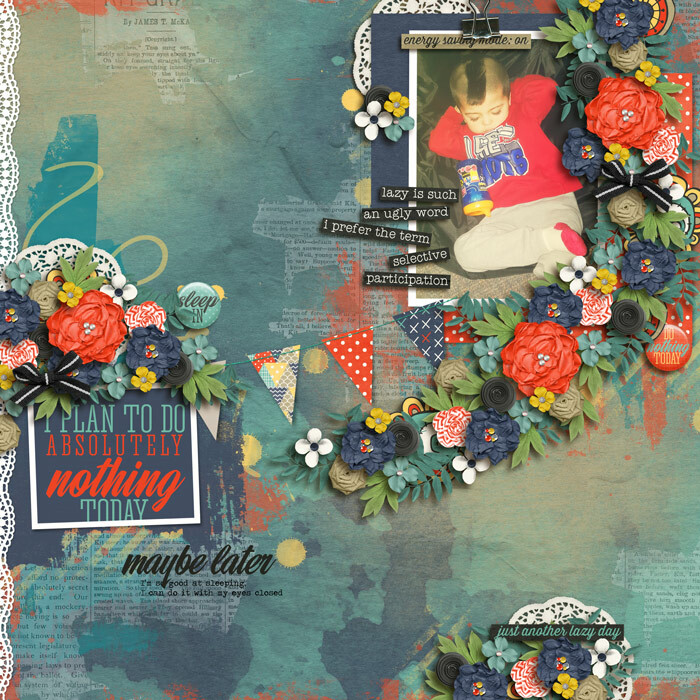 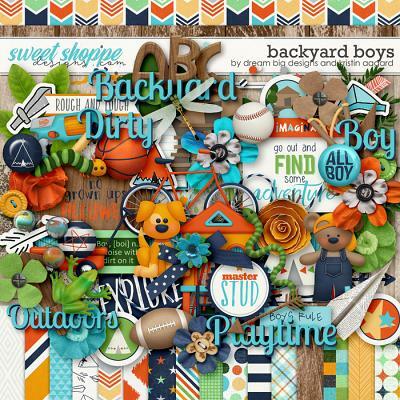 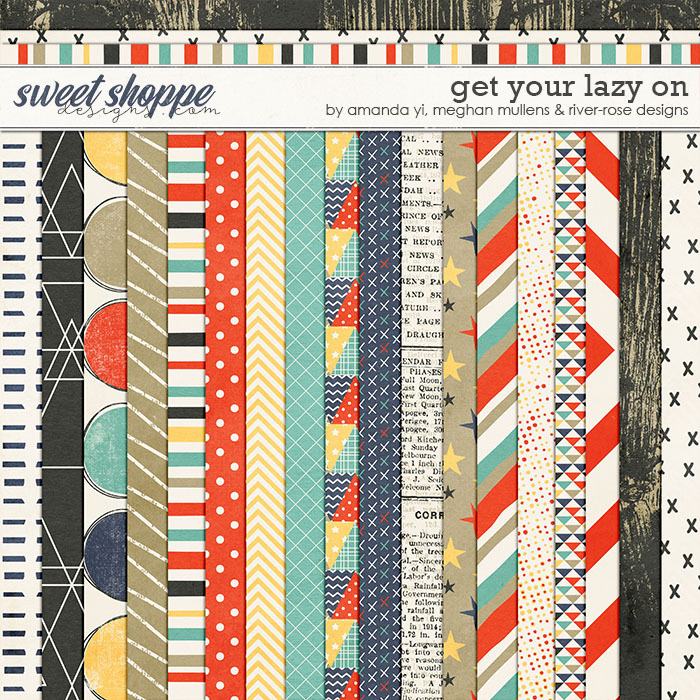 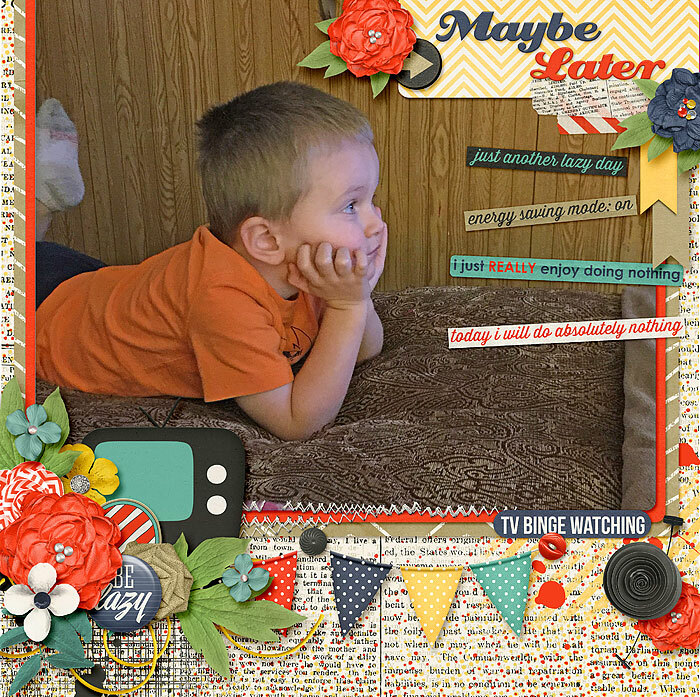 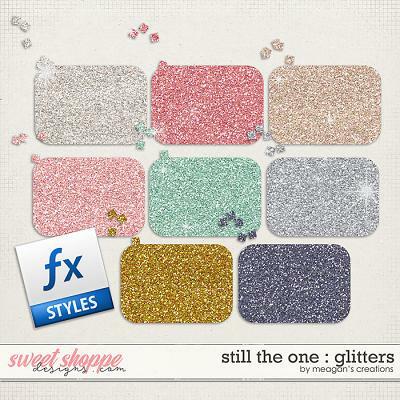 Get Your Lazy On is a digital scrapbook collaboration from Amanda Yi, Meghan Mullens, & River Rose Designs. 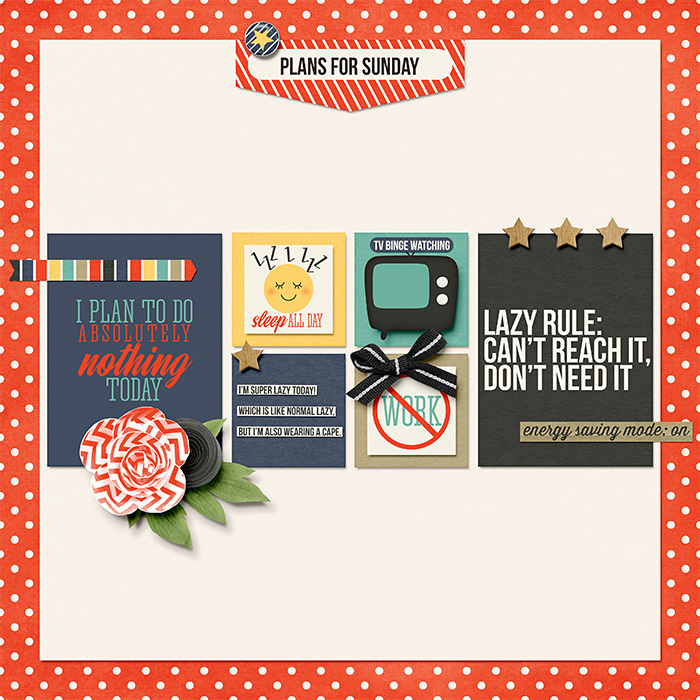 Some days just need to be no work-do nothing days-sleep in, binge watch tv, and avoid doing absolutely anything. 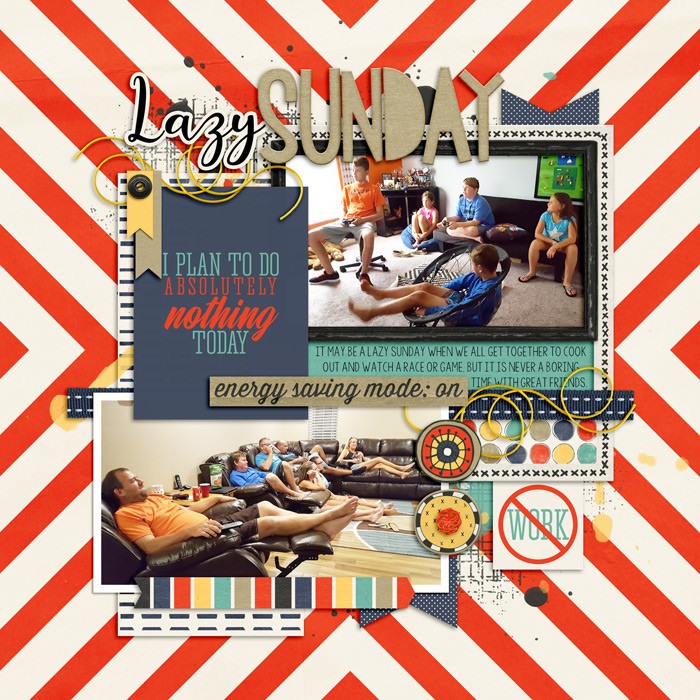 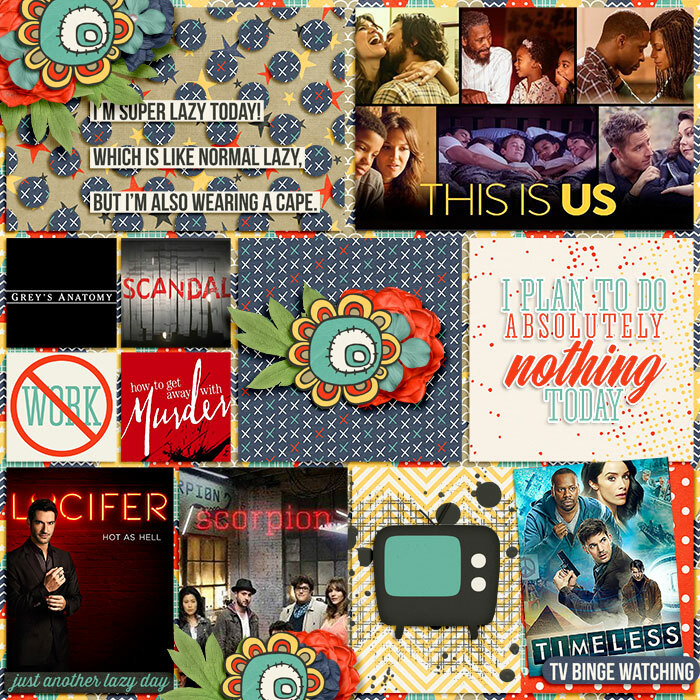 Get Your Lazy On is the perfect go to kit for any couch potato or procrastinator in your life! 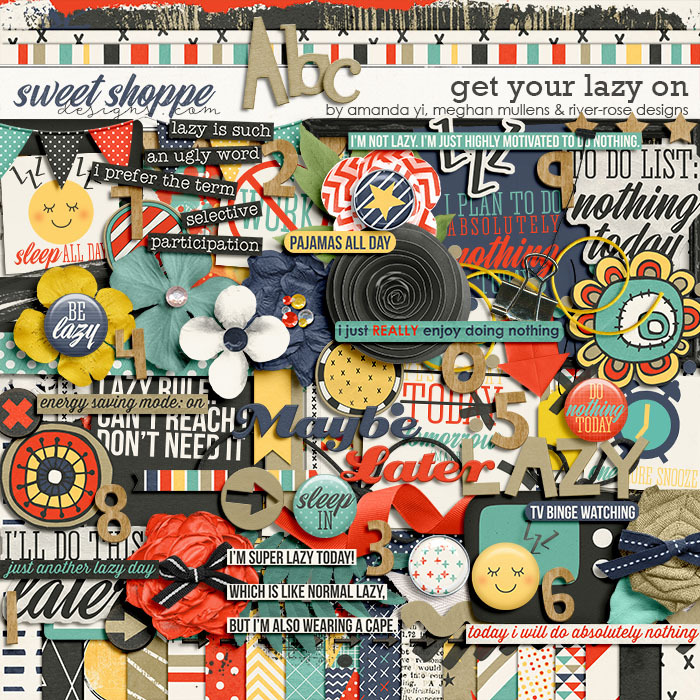 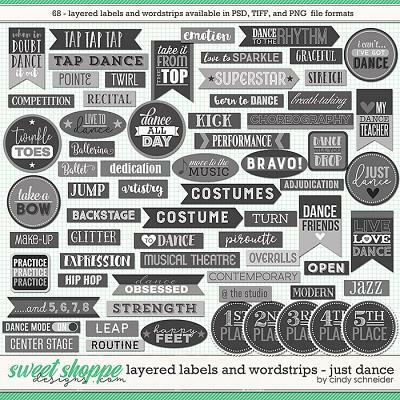 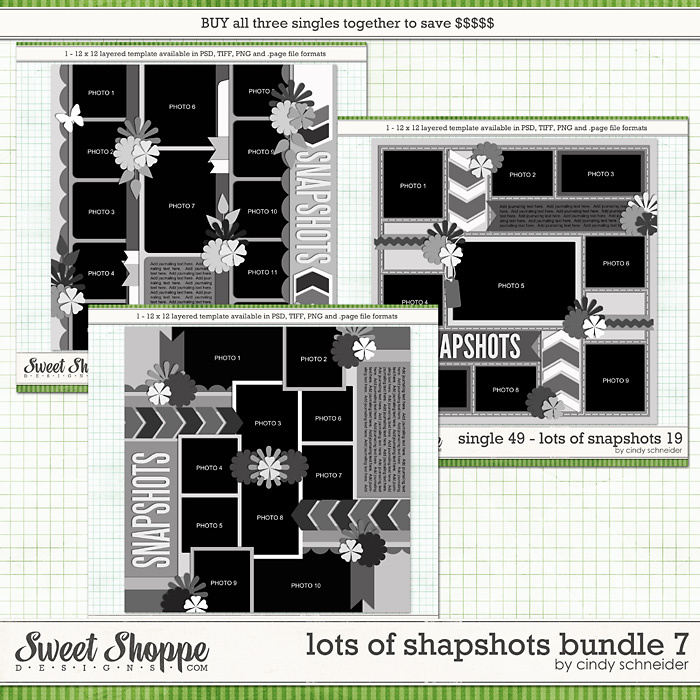 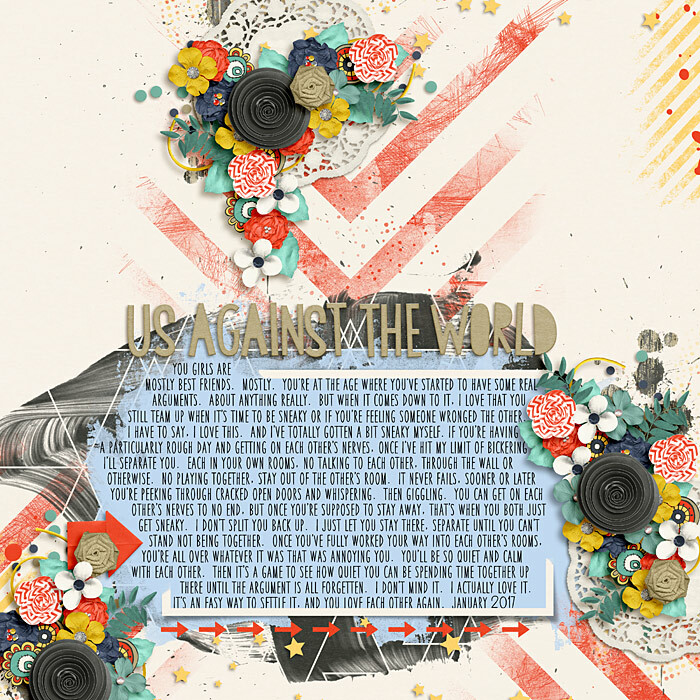 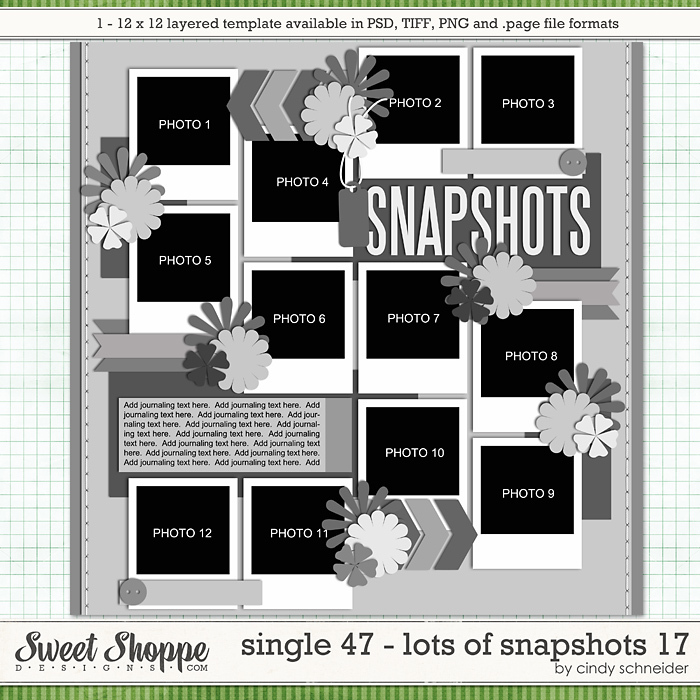 Includes: 25 papers including 7 solids, 1 full alpha in individual png images and on a sheet, and over 100 elements including binder clip, buttons, bows, banner, string, flowers, paint, frames, foliage, doodled bits, project cards, scribbles, wordart galore, arrows, flair, tags. 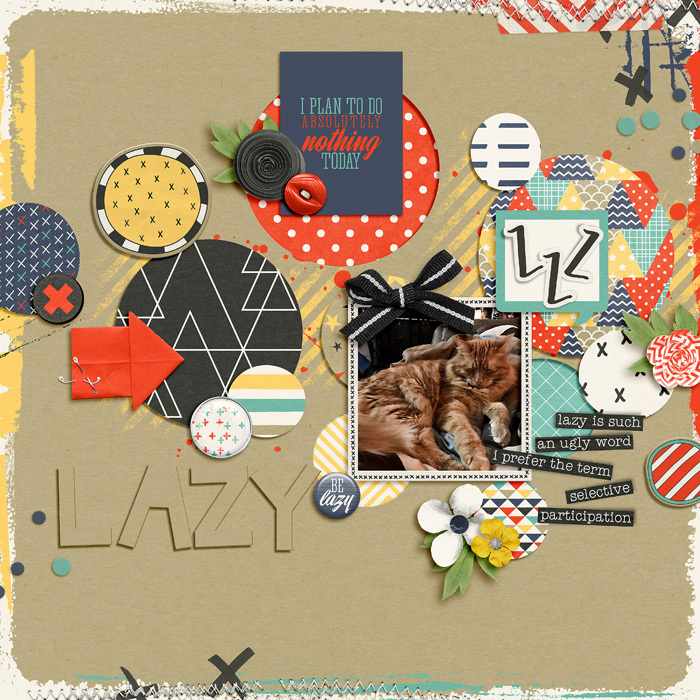 labels, washi tape, tv, emoji, and much more!